Sometimes people share things with me and ask, “Hey, is this true?” One of the recent questions someone posed also came with a link to the video above. From the short film, one would think that Japanese schools have the healthiest lunches EVER and that American schools are the WORST when it comes to healthy food at school. But actually, as with most cultural comparisons, the truth is a bit more complicated. First of all, while it’s true that students in Japan do prepare lunches in elementary and junior high school, they don’t cook the meals themselves. That’s ridiculous. If a child burned their hand while cooking up soup, you can bet that parents would raise hell about it. No, there are usually food prep people who cook the food for the students. Also, ATTN seems to believe that the food is all made “from scratch.” I saw the people prepping the food at my junior high schools, and scratch is a bit of a stretch. The soups are the add boiling water to dry ingredients type, and the rice is rice. You throw water in a pot and cook it, it’s not hard. The fish is fresh because Japan is an island nation and surrounded by fish. In short, the food isn’t terribly labor intensive, and that’s on purpose. This way the food prep people can get everything done quickly and it’ll be done in bulk. Second, Japanese students do take mandatory classes for home economics in elementary and junior high school, but most of those classes aren’t labor intensive either. Students learn more along the lines of “How to Peel Potatoes and Apples” and less like “How to Make a Full Course Meal for Yourself.” And keep in mind that budget cuts can happen, and when they do, one of the first classes put on the chopping block (pun intended) is the home ec and music classes, just like in the good ol’ USA. Next, what the video left out for obvious reasons, I think, is that the students do not get a choice about what they can or can’t eat at lunch. The food they get from the food truck that comes everyday is the food they get to eat: milk to drink, fish or pork, 1/4th a plate of rice, and some kind of soup. Everyone eats in their classrooms, so unlike in America, they’re not choosing this healthy lifestyle. The students eat what they’re given or they go without. If you’ve got allergies? Too bad, go get water from the water fountains. The flexibility you’d find in other countries isn’t here. The food isn’t as healthy as one would think. The rice is white, which means it gets stripped of all its nutrients. Unlike brown rice, white rice fills up the stomach, but it doesn’t add nutritional value. Basically, it doesn’t hurt but it doesn’t help the body. Since it’s 1/4th of the meal, it gives everyone the illusion of eating a lot, but in fact nutrition wise they didn’t eat enough. The lunch system is set up to just be a hold over until the students go home and eat dinner after school. Finally, putting Japanese people up as a paradigm of good health is fine, but the reason so many people are healthy is because they’re active. Japanese schools have recess and P.E. They haven’t budged so far on cutting those kinds of activities, and I don’t think they ever will. In junior high school, nearly all students are in some kind of club, with the majority of students choosing sports. Sports clubs practice both in the morning and in the evening, especially the basketball and baseball clubs. When the students go to high school and the university, most Japanese people remain active and do physical activity. Most people ride bikes in the countryside if they want to go to the convenience store, they don’t hop in their cars. People in Tokyo walk everywhere instead of drive. People in Japan are just on their feet more than the average American person, and they do sports and such for fun. In my opinion, yes American schools could learn a thing or two from the Japanese school system, but it doesn’t have to be a complete overhaul. I would suggest simply looking into cutting down the food options available at school. Less desert or no desert might be a good place to start. American’s love it, and it’s a big part of our culture, but desert isn’t really a big part of Eastern culture, so I’ve learned to stop having it at lunch and dinner. Then if we make it so that students can have only healthy options instead of constantly eating grease, cheese, salt, and sugar products then we’ll definitely have thinner waistlines and better minds. When students eat better, they also perform better in school, fun fact. I hope that America will still give students options, because learning to make healthy choices is a vital part of education, and taking that away seems a bit too far. Fighting obesity would mean also bringing back recess in elementary schools, and getting all students more active. Until we have a more physically active culture, unfortunately we’re not going to see much change. Previous Post How Much Japanese Do You Need? © Jessica Gordon and “From Kentucky to Tokyo”, 2015-2019. Unauthorized use and/or duplication of this material without express and written permission from this site’s author and/or owner is strictly prohibited. 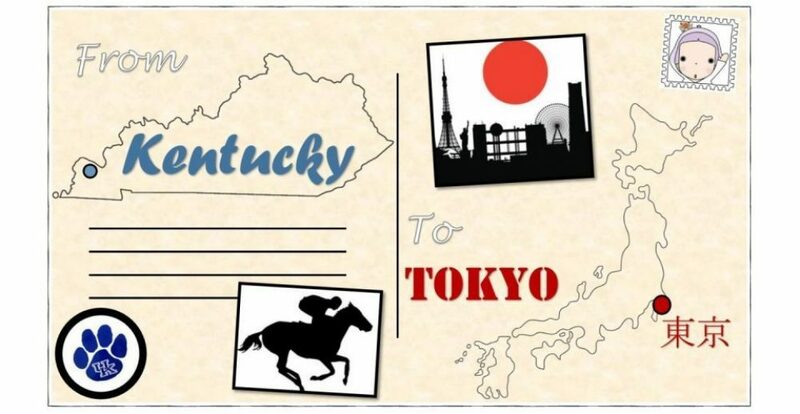 Excerpts and links may be used, provided that full and clear credit is given to Jessica Gordon and From Kentucky to Tokyo (fromkentuckytotokyo.com) with appropriate and specific direction to the original content.